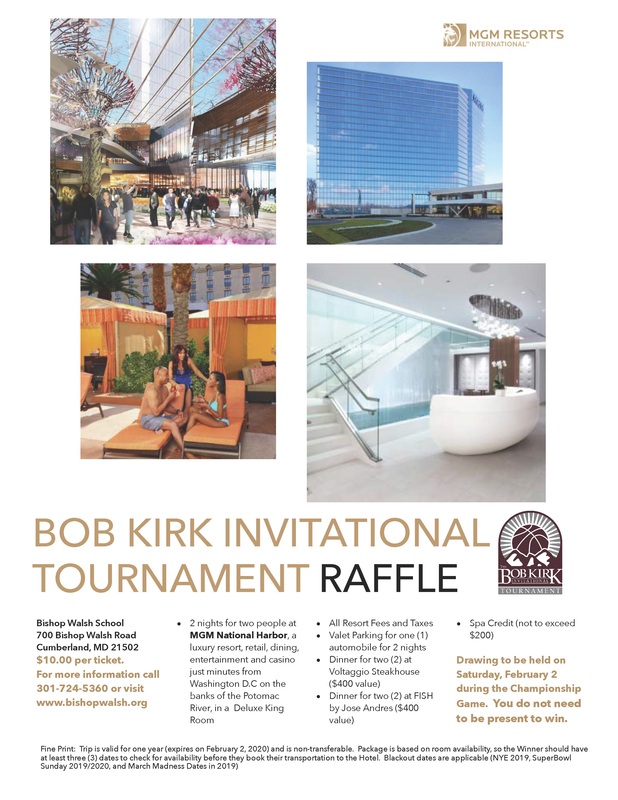 The Bishop Walsh Bob Kirk Invitational Tournament will be raffling off 2 nights for two people at the MGM National Harbor, a luxury resort, retail, dinning, entertainment and casino just minutes from Washington D.C. on the banks of the Potomac River, in a Deluxe King Room. Dinner for two on both nights, spa credit and valet parking included. Tickets are $10 and you can purchase them from BW or via PayPal below. Ticket stubs from PayPal purchases will be mailed to you. **You do not have to be present to win.